Wonder what it would be like to view The Great Detective's flat, 221B Baker Street, from the eyes of a character in one of the stories? Your opportunity is here at Baker Street West. 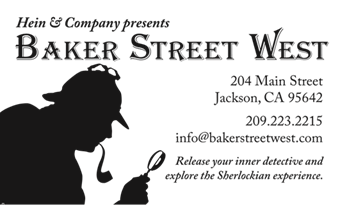 This weekend next after Thanksgiving, on Friday, November 25 and Saturday, November 26 at 6:00 pm, Baker Street West will host Docent Tours. · Imagine being secretly ushered into the flat by Silas Brown, horse trainer, from The Adventure of Silver Blaze. “Secret” you ask? Well, Mr. Brown has a bone to pick with Mr. Holmes, and he does his tours on the sly. · Fortunate you would be to see 221B from the viewpoint of Irene Adler, “The Woman,” from the story A Scandal in Bohemia. She is proud to be the object of Mr. Holmes' admiration, as she is the only woman to “best” Sherlock Holmes. · Eliza Barrymore has come all the way from Baskerville Hall of Dartmoor to 221B to retell her part in this sinister story of a supernatural hound, the moor, and mayhem. · Miss Burnet, from The Adventure of Wisteria Lodge, will relate on her tour of 221B how she toiled undercover to trap the “Tiger of San Pedro,” a brutal dictator from Central America. · Examine 221B with Hilda Adair, who lost her husband by way of a murderous act perpetrated by Colonel Sebastian Moran. Her tale takes place after The Great Hiatus, when the errant Mr. Holmes returns to Baker Street and to The Adventure of The Empty House. · Mary Maberley is one of Mr. Holmes' newest clients. An unknown party has asked to buy her house, The Three Gables, contents and all of her personal effects. Should she be suspicious? Perhaps you can advise her. This time of year AmadorArts is Thankful for our many members and supporters. For 35 years your contributions have enabled us to promote the Arts as an asset in our community. From the little girl at the Amador County Fair who pulled aside a volunteer to talk about her artwork using the art vocabulary she learned in her lesson, to the young man at the Pine Grove Conservation Camp who wrote a poem for his mother, our Work would not be possible without your support. This Holiday Season, we ask you to once again contribute to AmadorArts and help us continue bringing the Arts into lives throughout our community. And there is no better time to donate than on Giving Tuesday. By making a donation on Tuesday November 29th through the Amador Community Foundation, your contribution to AmadorArts will go even further, thanks to generous matching funds. Please go to giveamador.org on Tuesday November 29th and make your online donation to AmadorArts. Feel free to contact us at amadorarts@gmail.com or 209 267 9038 for more information about how you can make your contribution count. The classes are open to everyone and there’s only a $5 fee for registration. 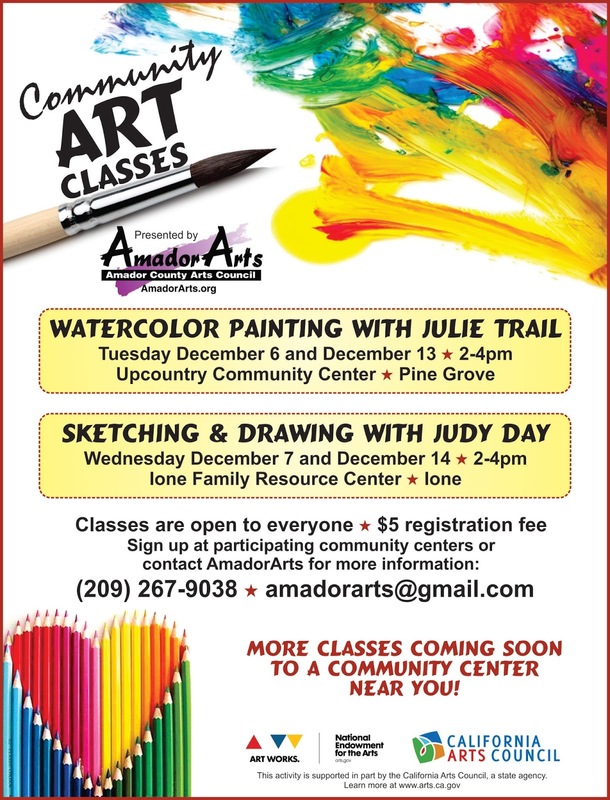 Advance sign-ups are encouraged and this can be done directly at the participating community center listed above, or by contacting AmadorArts at amadorarts@gmail.com or 209 267 9038. No experience is necessary and you don’t have to bring any supplies. Simply have an eagerness and expectation to have fun. All of the community classes will be taught by professionals. For example, Judy Day attended Art Center School of Design and Cal State Northridge, where she received a Bachelor Degree in Graphic Design and a K-12 Teaching Credential in Art Education and Math. For 5 years, Judy has directed a week long children’s art camp in Studio City. 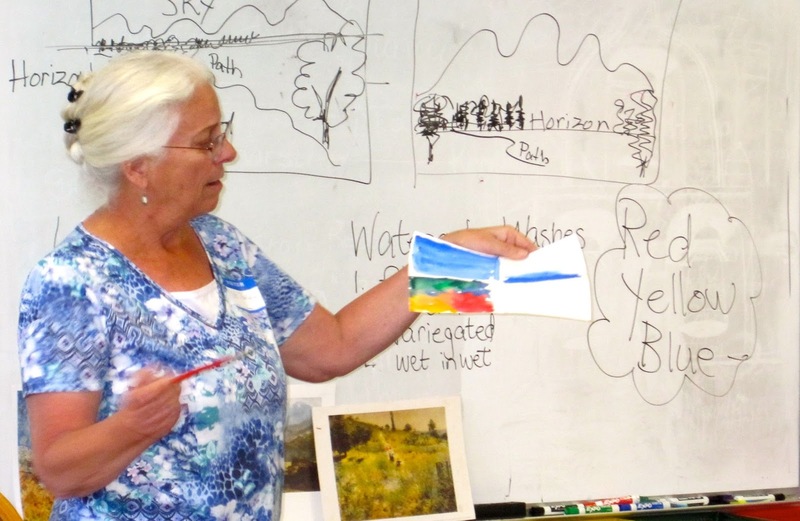 Julie Trail retired from elementary school teaching where she always put an emphasis on art. An award-winning artist, she has given local art classes for many years and has great ideas of how to make art exciting for students. Her teachings keep her and her students observing new ways to see the world. 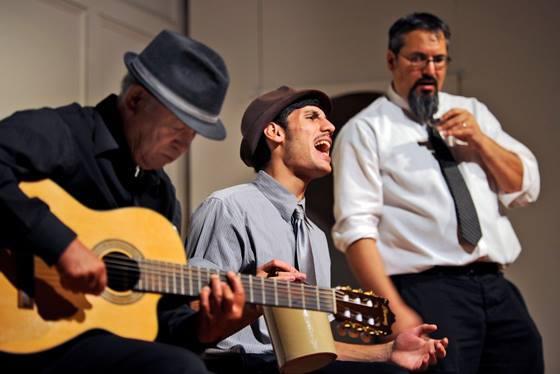 Funding for these community arts classes comes from a Local Impact grant from the California Arts Council, a state agency, meant to improve access to the arts for populations in underserved and rural areas. These classes will culminate with public exhibits and artists receptions at each community center in spring 2017. Julie Trail has been teaching Watercolor Classes in our local schools for many years. Dec. 4 – A free concert will be presented by the 48-member Amador County Concert Band under the direction of Steve Chambers and Irv Gidding on Sunday, December 4th with music starting promptly at 3pm. The program will be held at the Community Church of Pine Grove, 14045 Ponderosa Way, Pine Grove. Doors open at 2:30pm. Featured music will be a tribute medley from “The Sound of Music”, transcribed for concert band by Robert Russell Bennett. Another special selection is the music medley called “Christmas on Broadway”, an arrangement by composer John Higgins, a special tribute to Leroy Anderson with a few of his tunes “Sleigh Ride”, “Serenata”, along with Anderson’s arrangement of “A Festive Christmas”. A special selection from the 1940’s features our own trumpet section leader Dan Traxler on “The Toy Trumpet”. “Secret Agent Santa” presents a James Bond-like twist to a few favorite holiday tunes as well! The band also performed this year at the Golden Gate Park Band Festival in June and played under the historic band shell. The Amador County Concert Band represented our Northern California area and was one of the largest ensembles to perform over the weekend, receiving a very special recognition award for an outstanding performance. Join us on December 4th; bring the family and enjoy the spirited music! Arrive a few minutes early for best seating….ample parking…music begins promptly at 3pm. Refreshments will be served following this fun-filled 90-minute concert! JACKSON - Thanksgiving weekend, gather up the family, invite your friends and neighbors, and join the community as the spirit of the holidays brightens downtown Jackson’s annual Plaid Friday and Christmas Delights Open House, Friday and Saturday, November 25 and 26, 5-9 p.m.
Friday morning, skip the lines and hassle of Black Friday at the mall and head out with your gift list for the annual “Plaid Friday Amador” kick-off to the shopping season! Enjoy “Plaid Only” discounts when you wear plaid and shop in friendly local businesses. 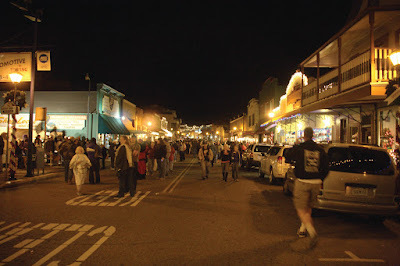 Throw on that plaid scarf, grab your best deal-loving-shop-till-you-drop friends and get the Plaid Friday shopping guide to discounts at www.VisitAmador.com. 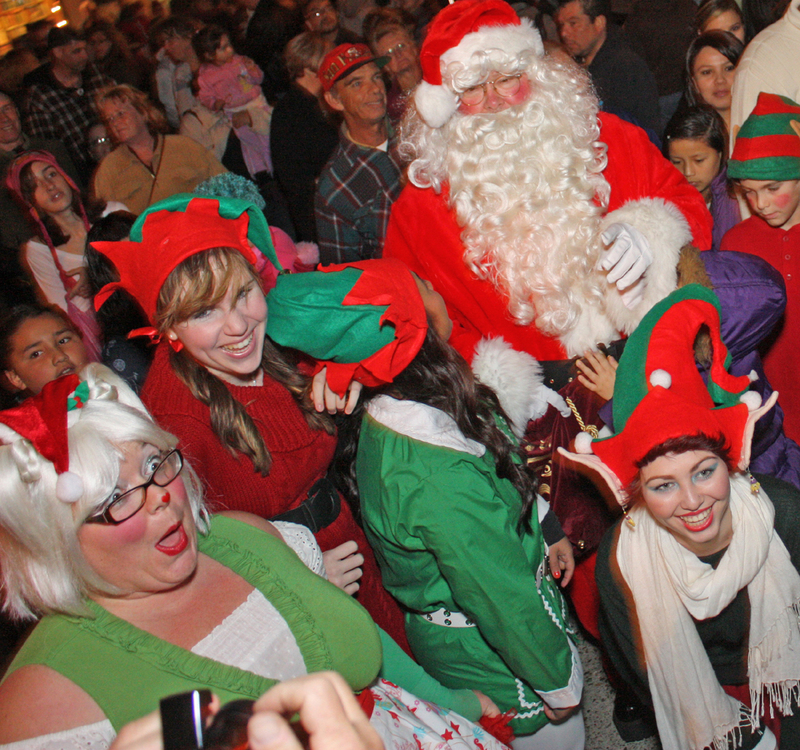 Christmas Delights festivities begin Friday and Saturday at 6 pm when Santa lights the town Christmas Tree at Jackson Fire Department and then rides in a horse-drawn carriage down Main Street to the historic National Hotel. 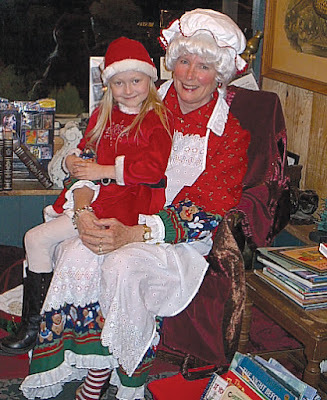 Meet Santa in the hotel lobby for wish lists and free photos from 6-9 pm Friday and Saturday, and Meghan O’Keefe will entertain little ones with her delightful Elfin Christmas show. 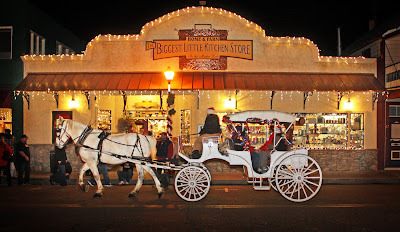 Free horse-drawn carriage rides both evenings, live music, and Father Christmas will add old-fashioned fun to Main Street. Children will love magician Cody Ebert, fire dancers, Mrs. Claus reading holiday stories to children at Hein & Co. bookstore (Friday evening only), and artist Leslie Vasquez and her face-painting magic at Davenport Properties. “A Children’s Christmas at The Hub” returns this year! On Friday and Saturday, 11 am – 8 pm, kids can visit with Santa, play on a gigantic bounce house, games and create gifts or shop at Santa’s Gift Shop for family and friends at the Hub (above Hein & Co. Books, entrance on California Street). A $5 donation and $2 per craft project benefits ACRA’s youth programs. See ACRA’s website, www.goacra.org, for details. The whole family will enjoy the cheerful holiday atmosphere as Jackson’s downtown merchants pull out all the stops to make this year’s Christmas Delights something special. In addition to keeping their doors open after hours on both nights and offering refreshments, shopkeepers will offer holiday specials to visitors browsing through festively-decorated gift shops and specialty stores! Start off your holiday season with a treasured downtown Jackson tradition -- Plaid Friday, Christmas Delights, and A Children’s Christmas at The Hub! 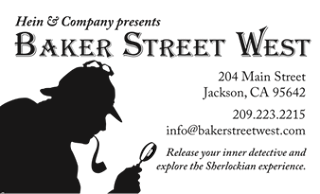 Sponsored by the Amador Chamber of Commerce Jackson Promotion Committee, www.VisitJacksonCA.com, The National Hotel, and hosted by Jackson’s downtown merchants. 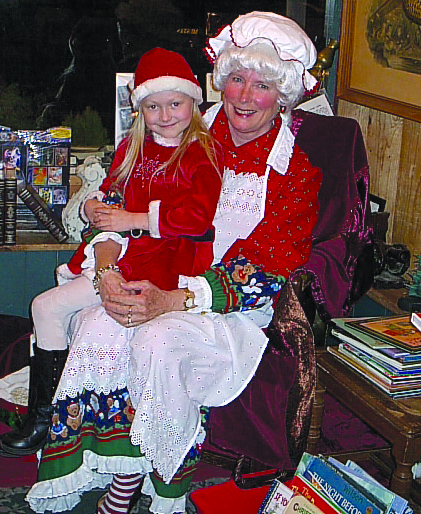 Mrs. Claus reads holiday stories to the littlest ones on Friday evening at Hein & Co. bookstore. On Friday and Saturday nights – live old time music by Sequoia and guided tours of Baker Street West, a Sherlockian wonderland on the second floor of Hein & Co. Photo courtesy of Hein & Co.
Santa Claus lights Jackson’s Christmas Tree at the Firehouse at 6 pm Friday and Saturday after Thanksgiving, then heads to The National Hotel for wish lists and free photos, courtesy of The National Hotel. Photo by Steve Farrell. Jackson’s historic Main Street will be closed to cars but open for free horse-drawn carriage rides at the Christmas Delights Open House, 5 – 9 pm, Friday and Saturday of Thanksgiving weekend. Photo by Steve Farrell. Street entertainers, live music, horse-drawn carriage rides and more will entertain on Jackson’s Main Street at the old-fashioned Christmas Delights Open House, 5 – 9 pm, Friday and Saturday of Thanksgiving weekend. Photo by Bill Lavallie. December Concerts at Feist Wines! Prixe Fixe Dinner, Live Music! SUTTER CREEK, CA - Americana pair Rosie Newton and Richie Stearns are set to play the intimate venue of Feist Wines in Sutter Creek on Thursday, December 1 at 7 p.m. 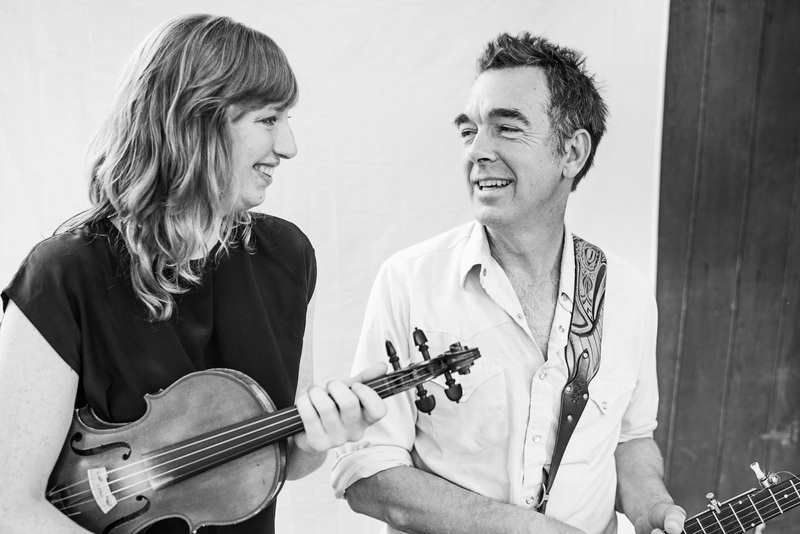 Banjo player Richie Stearns and fiddler Rosie Newton are a mesmerizing duo, playing mostly old-time/Appalachian styled originals with their distinct, syncopated rhythmic style. They have played together across the country and beyond since 2012, sharing stages and bills with greats like Bruce Molesky, Natalie Merchant, and the Wood Brothers. Rosie Newton grew up immersed in the rich folk music scene of Woodstock, NY, and began playing the fiddle when she was eight. Newton attended college in Ithaca, NY, where she studied Viola Performance. While in Ithaca, she found herself swept up by the area’s music scene, which infused her with a deep appreciation for the beauty and diversity of roots music. During this time she also developed a love for singing, and this, in addition to playing fiddle, forms an integral part of her performance. Richie Stearns first discovered the pleasures of old time banjo when he was 14. 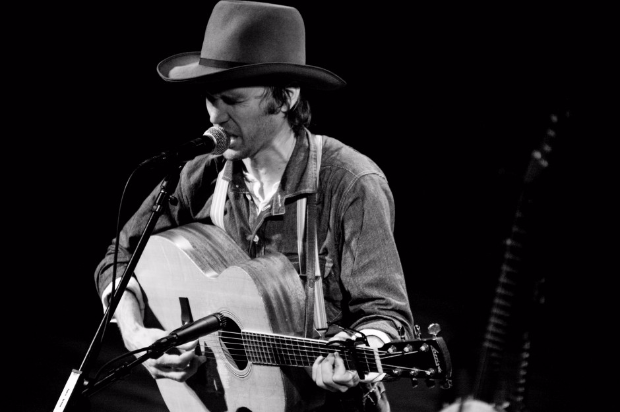 He has traveled the world, performing both traditional and original music. Over the past three decades, he’s written original music for film scores and dance ensembles as well his own bands and collaborated with artists from a variety of disciplines. 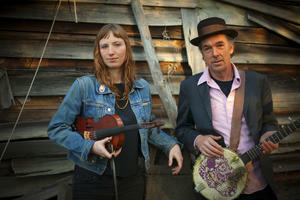 Newton and Stearns are one fiddle, one banjo and two magnificent voices; each clearly made for the other. 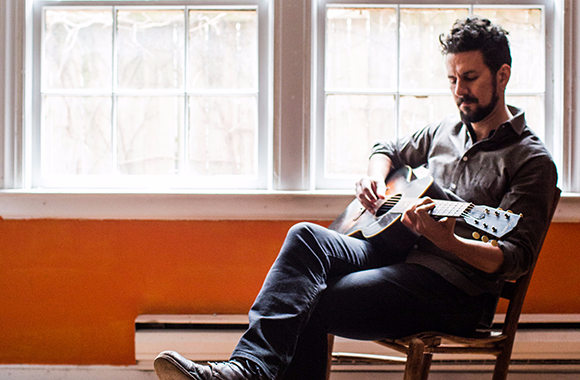 They take music lovers on a journey through love, heartache, sorrow and downright joy. There is wisdom in Richie’s voice. That well is deep. Layer that with the strength and beauty in Rosie’s and you have a winning combination. Their harmonies carry. Richie’s clawhammer playing is like no other. Crisp, clean, popping and melodic. Wistful. His creativity and versatility make their presence known on each tune. Rosie’s perfectly-timed and soulful fiddle-playing root the sound in a distant valley. Each long stroke of the horsehair pulls heartstrings along with it. They get toes tapping too though with several fiddle tunes. A bonus for the audience is hearing the stories behind the music: where the lyrics come from, what the songs mean to the artists. 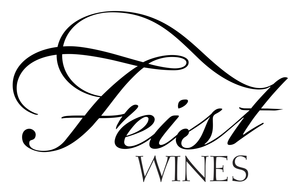 Tickets are available at the tasting room or at feistwines.com. November at Sutter Creek Provisions!